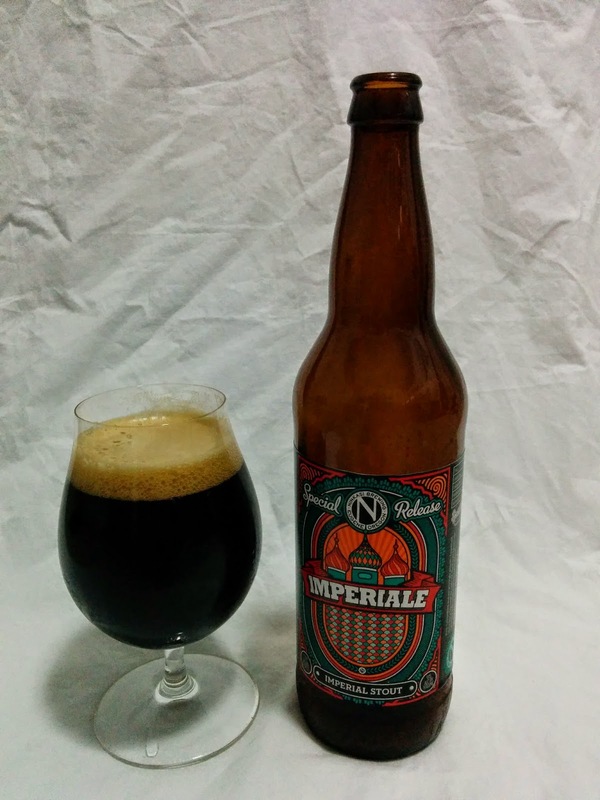 I got a chance to review Ninkasi's Imperiale Stout this past week and decided to write a review of this seasonal release from Ninkasi. A (3/3): Pours murky black, allowing no light to pass through. The tan head is light and frothy, like that of a cappuccino and leaves behind a dense, rocky lacing. S (9/12): Deep roasted malt aroma with some coffee and lots of dark chocolate, There is some hop character but its not as complimentary to the roasted aromas as I would have thought. Some sweet vanilla and caramel flavors come through, but only as an afterthought. T (15/20): The taste was that of coffee and dark chocolate. After the first sip, the mild bite of the roasted malts come through in a slightly burnt flavor. The mild sweetness of raisin or plums is present and rounds this beer off nicely. M (3/5): Imperiale has the mild alcohol bite, but it is to be expected with a 9.1% ABV beer. A full bodied stout with a thick, silky mouthfeel that finishes creamy and stays coating your mouth for a few seconds after swallowed. It has a faint bitter bite, from the roasted malts, but it doesn't detract from the beer. O (7/10): A very good imperial stout with a higher ABV, but not the burning sensation that sometimes accompanies that. Silky really comes to mind when describing this beer it coats and stays with you for a decent time after drinking.